Incredible Circa return to the Edinburgh Fringe with Closer! Fresh from the world premiere of Closer in London, Backstage Pass favourite and internationally acclaimed, multi-award winning circus company Circa (The Return, Barbican) return to Edinburgh’s George Square to dazzle and amaze. Join five astounding performers in Closer as they reveal breath-taking, up-close acrobatics in this elegant and intimate encounter of sophisticated fun. 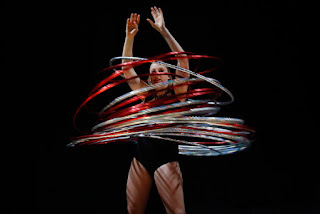 Circa are known for presenting circus without spectacle: Closer looks at the authenticity of the performers as they confound expectations and prompt an emotional connection with the audience. The strength of their relationships is paramount here as they support and aid each other. This beautiful and quirky show takes us on a magical and delicate journey. Underbelly director Ed Bartlam comments, "Circa are synonymous with the very best in contemporary circus, and have very much become a favourite of the Edinburgh Fringe. Closer beautifully represents the best of what this remarkable company can do and continues the very strong relationship between Circa and Underbelly, both at the Fringe and internationally. It’s safe to say that an hour in the company of Circa is one of the most rewarding festival experiences you can possibly have." work is a stripped back circus of the heart. Let the rockstars of the circus world (The List) reign supreme!